Mindelixir, a dubstep producer representing ALR, Daly City Records, Velvet Elk Recordings, is back after the success of his first compilation for Abstract Logic Recordings, Music for Funerals and Banks, and he's packing serious heat the second time around. This 15 track release is a taste of the sound that's coming from some of the hardest working and innovative newcomers in the industry. While traveling the country on tour, Mindelixir found some of these amazing producers hiding in the depths of the underground. Expect to see these names doing repeat business with the industry in 2011, as their newest output hints at the future of electronic music. 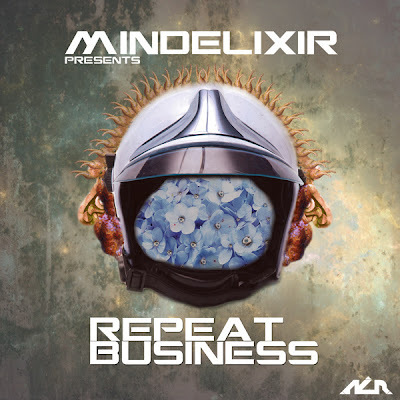 Mindelixir, collected quite a motley crew of producers, many of them rather unknown to the general public, but showing quite a skills in their, mostly dubstep-driven productions. Though the entire comp goes beyond the simple dubstep 'ghetto' with some glitch hop and underground electronica at places. My favorite tunes are The Arcadian Shark by Fast Nasty, Zomba by Panther God, Not 2B Missed by T8rtot and finally - Starship Ping Pong by Spooky Jones. The latter of the four is an absolute scorcher with its unnerving, repetitious and distorted basslines. The kind of tune I wish to hear more from dubstep camp.